Gutters: One More Step to a Perfect Home. Even though you have your new roof and siding installed, you notice there is something a little off with your home’s exterior? 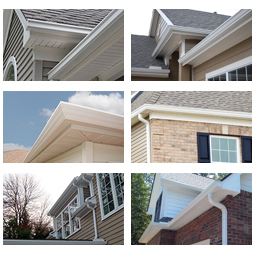 Let our professionals finish the look of your home with custom gutter systems. They will not only fit your home perfectly but also help protect it from access water. We offer a full menu of gutter services – from installation to cleaning and repair. With affordable prices, a team of qualified licensed professionals and a commitment to customer satisfaction, GP Home Improvements is here to help you with all of your gutter needs.